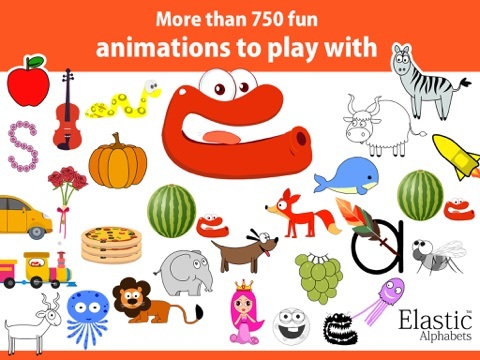 Elastic Alphabets for Kids is a comprehensive look at the ABCs and their most common sounds using engaging animations and memorable sound effects. 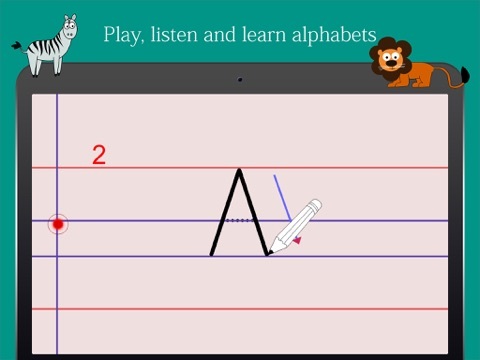 Each letter is presented by name and sound with a demonstration of how to write it, and then three key words beginning with the target letter. 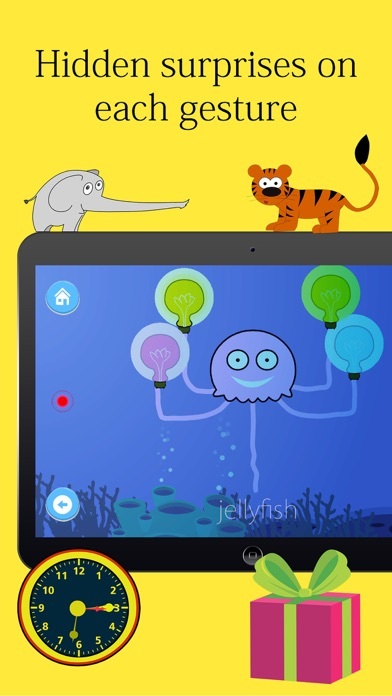 Each key word has cute animations that will keep children in stitches, activated by a simple tap to the screen. 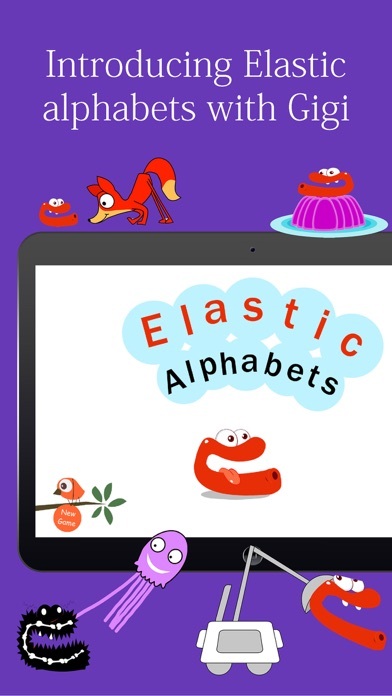 Elastic Alphabets for Kids is a high quality app that children are sure to enjoy. It is intuitive to use. 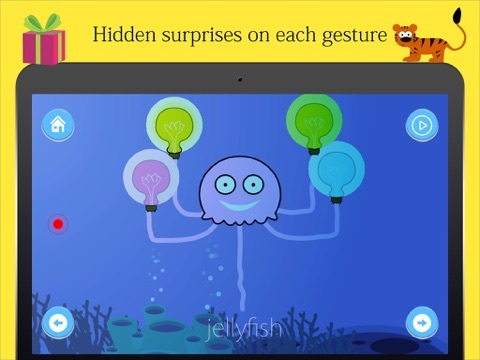 Young children simply tap the screen to initiate the animations. The navigation controls are in the form of clear icons, with arrows to move forward and back and a home button. There is also a way to choose letters instead of simply working through the alphabet in order. One possible drawback is that the animations of the keywords are randomized, but there is no protection against seeing the same animation over and over again. There are at least three animations per word (sometimes four, but it’s difficult to tell with the randomization active), but because of the randomizing, the same animation may appear again and again. Some children may get a bit bored by this. In some cases, it took me fifteen to twenty taps to reveal all three animations, which is too many. 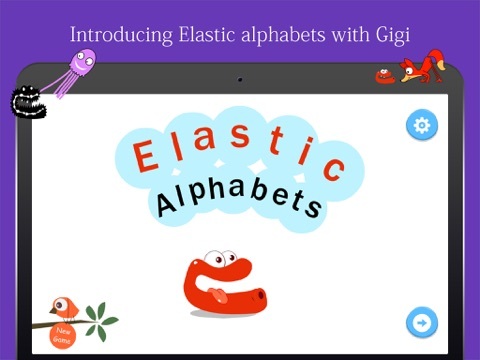 Elastic Alphabets is a great way to introduce young children, students learning English as a second language, or special needs students to the 26 English alphabet letters and their sounds. 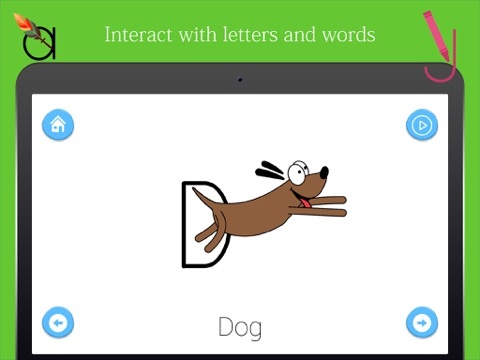 The app presents the letters in order, though there is a mechanism to choose to view whichever letter is desired. For each, it shows the letter (choose capital or lower case in the parents’/settings section), repeats the name and gives the sound. 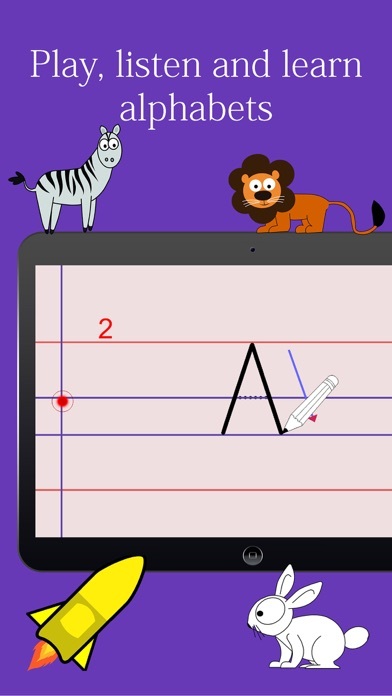 If the user taps the letter, the app shows how to write it with an animated pencil. Tap the arrow on the lower right side of the screen, and the app begins a slide show of three words that begin with the letter. Each word is shown with a vivid illustration. 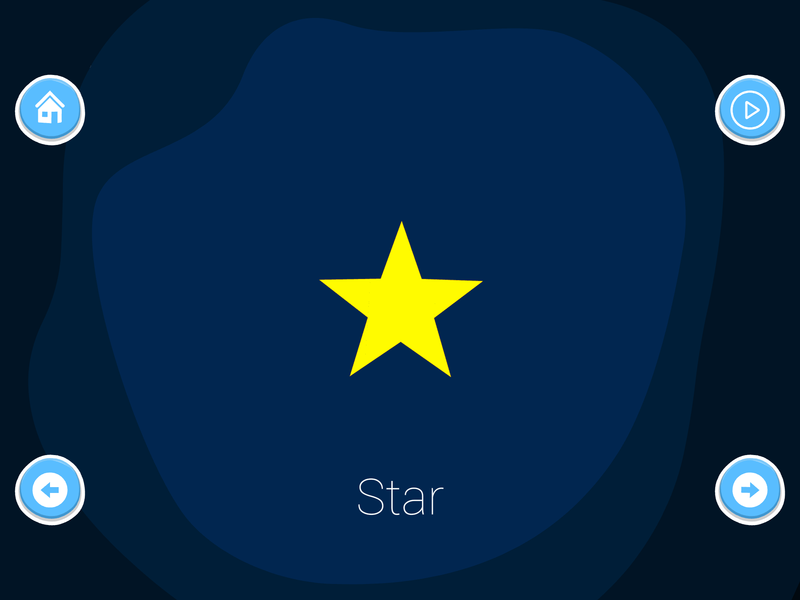 When users tap the screen, they are shown an animation involving the focus word. For example, the app shows “egg” for the letter E. In one animation, the main character, Gigi, paints a funny face on the shell. In another, the egg cracks open and is fried. In a third, the egg is duplicated across the screen, then hatches out a row of chicks. Some letters have more than three sequences. The animations are engaging, quick and quirky, and they are sure to please the target audience. The sound effects are priceless! The animations are also randomized, so the user won’t know which is coming next. A few of the letter sounds are not made correctly. For example, the short A sound is represented more as a schwa sound instead of the more typical /a/ as in cat. Some of the key words for A are not typical short a sounds, either, such as arrow and airplane. These words have an R-controlled long a sound instead of a short one. 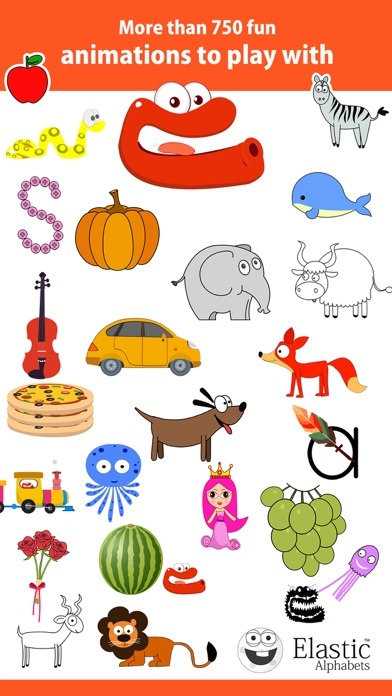 But on the whole, this app does an amazing job of representing the letters and the sounds they make. Children will absolutely love this app! Many of the animations for each word are very funny and some are downright strange, such as the goat’s horns that turn to tree branches and sprout leaves. Giggling Gigi (the main character) is involved in many sequences, and it can be fun to try to guess where it will turn up next. Some of the animations even tell a little story across pictures, such as the frog that eats the fly for the letter F, then spits it back up again in a burping bubble in another sequence. 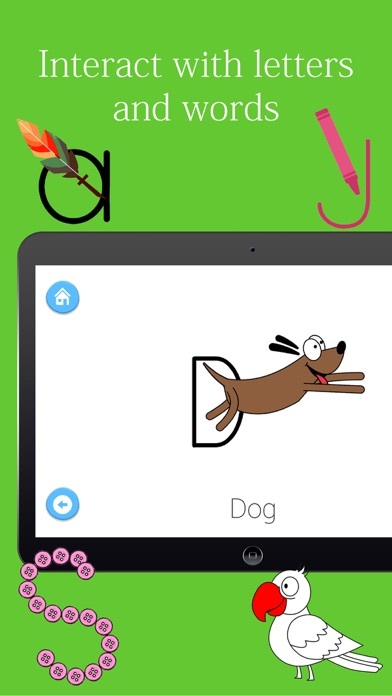 This app may seem a bit pricy, but if you work with children who need to be motivated to go through the alphabet and learn the sounds, it will be worth the money. It costs $3.99 in the App Store. It would be particularly nice for students with special needs, or those who are having some difficulty mastering letter sounds, since it is highly motivational. Developers may want to consider a sample version with a few letters animated so that parents and teachers can see what fun the program can be, and so be encouraged to purchase.